Lots of fun for children aged 3-7 and their families! 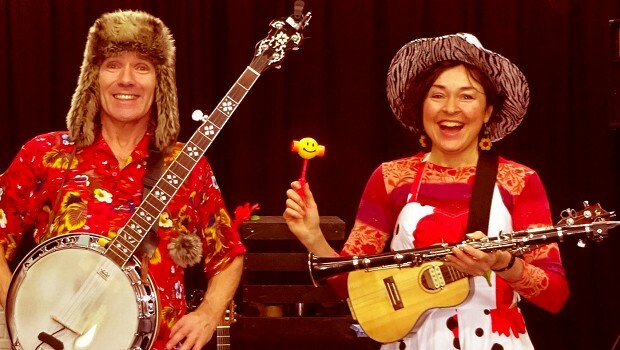 Come and join Mambo Jambo, with their array of instruments and nonsense props for an afternoon of Nonsense songs and music and Nonsense in General! 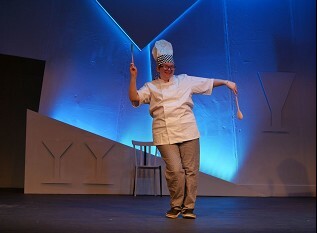 Together we'll be singing along with choruses, rapping, and sharing in song and silliness, exploring the Octopus' Garden, and making a Nonsense Stew! A truly unique two-piece with their joyous mash-up of sounds from roots, world, jazz and folk, plus their own compositions. With Frankie on sax, vocals, clarinet, flute, guitar and spoons plus other percussion and Pete on guitar, vocal, ukulele, tres (traditional Cuban guitar), banjo, accordion and suitcase ! Pete and Frankie have been gathering admirers at shows and festivals the length and breadth of the country. A fabulous musical treat is in store wherever they roll up, their tour bus packed to the brim!